What Cerebrovascular Accident Home Care Assistance Will You Need? Having a cerebrovascular accident, or what is more commonly known as a stroke, can be a challenging and traumatic experience. You may require cerebrovascular accident home care assistance for your rehabilitation and for help with everyday activities. Cerebrovascular accidents or strokes often come out of nowhere and can leave you feeling shocked and overwhelmed dealing with the after-effects. 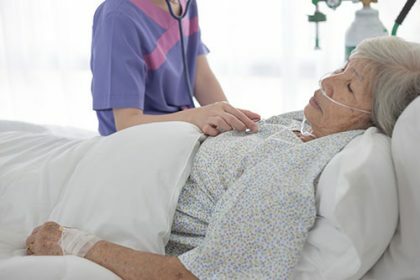 After spending some time in the hospital, it is likely that a recovery plan has been made by your team of medical professionals, which incorporates cerebrovascular accident home care assistance. Many cerebrovascular accidents cause a shift in lifestyle with diet changes and daily medication – these can be made easier with the help of professional carers. Your needs may also change over time, so you will need cerebrovascular accident home care assistance that evolves with you. At Beacon Support, we are solely focused on providing highly skilled cerebrovascular accident home care assistance you can trust. We will work with you to develop cerebrovascular accident home care assistance to cater to your specific needs. We are committed to making sure you feel safe and supported with expert care and understanding. Regardless of the situation you face, we know what to do and will deliver all of your care professionally and with empathy. Your cerebrovascular accident home care assistance will be provided under the supervision of a Registered Nurse so you can be assured of getting the highest quality care. We are also a registered NDIS provider. Call us today at 1300 435 782 or contact us via our online form for a consultation about cerebrovascular accident home care assistance.